In his recent encyclical letter Laudato Si’: On Care for Our Common Home, Pope Francis issued a moral appeal to the global community for swift action on climate change. However, social science research suggests a complex relationship between religious concepts and environmental attitudes, raising the question of what influence the pope’s position may have on public opinion regarding this polarizing issue. 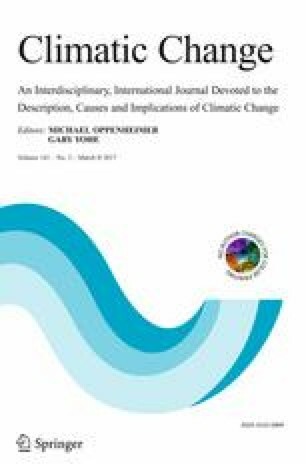 In a national probability survey experiment of U.S. adults (n = 1212), we find that brief exposure to Pope Francis influenced the climate-related beliefs of broad segments of the public: it increased perceptions of climate change as a moral issue for the overall sample (and among Republicans in particular) and increased felt personal responsibility for contributing to climate change and its mitigation (among Democrats). Moreover, prior awareness of the pope’s views on climate change mattered, such that those who indicated greater awareness of the pope’s position showed stronger treatment effects, consistent with a priming account of these effects. Results complement recent correlational findings and offer further evidence of the Vatican’s influence on climate change public opinion. An erratum to this article is available at http://dx.doi.org/10.1007/s10584-017-1921-4.